A Homemade Watering Can is a breeze to make with things you already have at home. 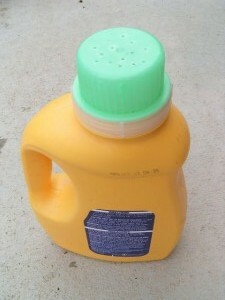 For mine, I used an old laundry detergent bottle. You can use a milk jug and it will work well, too*.